This stretched, medium-textured, pure cotton duck canvas is made with professionalism and permanency in mind. The pre-primed surface resists acidic deterioration with a buffered, acid-free sizing to protect the canvas fibers from direct contact with the final priming. The canvas is mounted on 1&frac38;" (35 mm) heavy-duty stretcher frames, double the standard thickness for heavy-duty performance, stapled on the back to allow painting on all sides. Continue painting around the sides for a 3-dimensional effect, or paint the sides a solid color and eliminate the need for a frame. 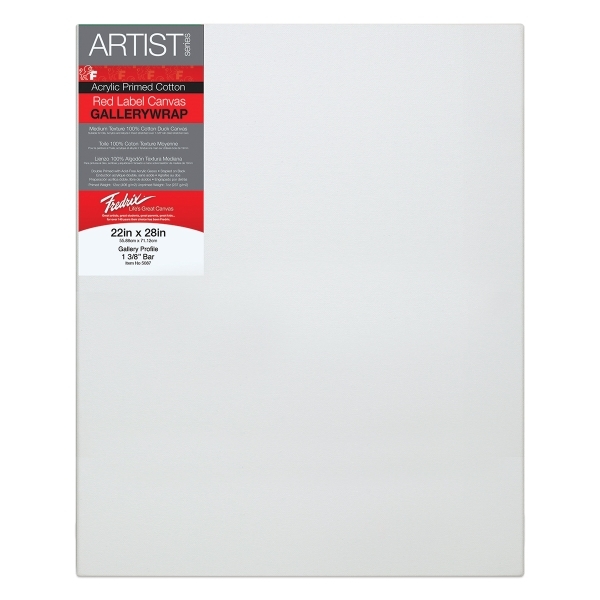 Fredrix Gallerywrap Canvas is suitable for permanent painting in oils, acrylics, or alkyds.